The Rs 1,800-crore flyover project in Bengaluru had been facing stiff opposition from citizen groups over environmental concerns and doubts over its sustainability model. 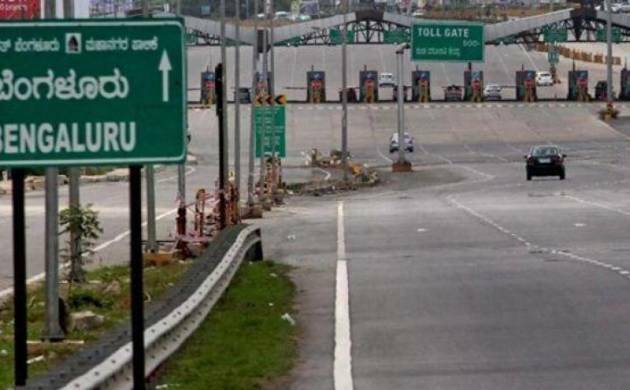 The Karnataka government decided to scrap the controversial Bengaluru steel flyover project that was aimed at decongesting the road that connects the city with its international airport and surrounding areas. "...We have decided to cancel the steel bridge project. I have spoken to the chief minister, and the chief minister has agreed to it," minister for Bengaluru development and state town planning KJ George told reporters in Bengaluru. The Rs 1,800-crore project had been facing stiff opposition from citizen groups over environmental concerns and doubts over its sustainability model. Questions were also raised regarding escalation in its cost. An estimated 812 trees would have had to be felled for the project that was stayed by the National Green Tribunal (NGT) last year. Govindaraju's alleged diary entries, reportedly consisting of information relating to payoffs made by state Congress leaders to the party's central leaders, have kicked up a political storm in the state. As the minister made the announcement of abandoning the project, a few Congress MLAs opposed the move in the presence of the media, calling it "anti-development". They demanded that a decision should not be taken in haste because of false allegations by BJP. Responding to this, George said "....they (BJP) are making false allegations on government, they are doing it without any evidence. We don't want to construct this steel bridge with allegations of corruption." BJP president BS Yeddyurappa had earlier alleged that those in the government, including chief minister Siddaramaiah, had "benefited from the project in the form of commissions and kickbacks." Earlier in the day, to a question about the decision on scrapping the project, Siddaramaiah said the steel bridge was proposed to ensure less traffic for Benguluru residents. "If Bengaluru people don't want, why do we want it?" he asked. He said George was holding a meeting with city MLAs to seek their opinion on the project. Claiming victory over government's decision to drop the project, opposition BJP has now demanded a CBI inquiry. "....finally it (government) has abandoned the steel bridge project which was full of corruption and loot. If CBI inquiry happens, all the allegations will be proved hundred per cent and the chief minister will have to resign. So fearing it, they have dropped the project", Yeddyurappa said. He said the BJP will raise the issue during the Budget session of the legislature, starting from March 15. George said, "Earlier they had accused a minister of corruption, now they are saying the chief minister's family is involved....we don't want the steel bridge with allegations, we are here for the people. Give me evidence, I'm ready to resign and I'm ready for any punishment..." "Give me suggestions, I?m ready to take. Those who are in favor of Bengaluru development, would not have opposed the project," he said.